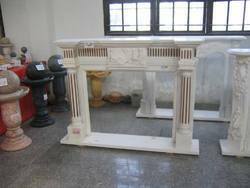 Creating a niche of Stone Fire Places such as Stone Fire Place - 6005, Stone Fire Place - 6003, Stone Fire Place - 6002, Stone Fire Place - 6001, Stone Fire Place - 6015, Stone Fire Place - 6007 and many more items at its best, with utmost quality. 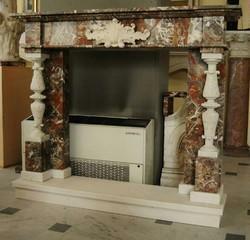 We are the leading and prominent Manufacturer and Trader of Stone Fire Place. 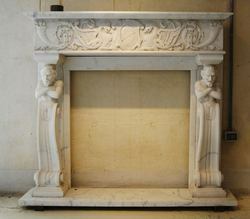 Fire Place with Sculpture Carved offered come in beautiful exclusive finish standards that support providing royal looks to the interior setting. These solutions are suitable for use at homes, resorts and other similar places and support adding royal feel and touch of class to the interiors. Some of its features include enchanting range with exclusive finish standards; durable construction finish; intricate designs; provide for enhanced look & feel to the surroundings; exclusive smooth finish design; attractive finish designs as followed in the past era.